Intellectual property management software assists in the tracking of trademarks, copyrights, patents, and other intellectual property. Law firms and corporations utilize these tools to manage databases of trademarks, automate forms and correspondence for new and ongoing intellectual property ownership, and track possible violations of legal rights for subsequent prosecution. For law firms who manage designers, artists, inventors, and companies with patented products or services, intellectual property management software helps centralize up-to-date client information, license agreements, and opposition filings in a single repository. This software often integrates with case management tools to streamline the lifecycle of intellectual property procurement and litigation. Some products in this category function solely as patent search engines or filing assistants. Intellectual Property Management reviews by real, verified users. Find unbiased ratings on user satisfaction, features, and price based on the most reviews available anywhere. FoundationIP is an industry-leading IPMS, impactful out of the box and ideal for the busy IP professional. We’ve analyzed the way law firms and corporate IP departments work and developed an intelligent platform that has transformed the way organizations manage their IP, allowing them to reduce cost, mitigate risk, facilitate collaboration, and improve efficiency. FoundationIP has a fast and easy implementation process. There’s no large up-front investment in infrastructure, licenses, or support staff to get up and running with FoundationIP. Upgrades and maintenance are all handled by our skilled support teams so you can focus on more value-added work. FoundationIP frees you and your team to focus on higher-value work. IP professionals are reducing their busy work with FoundationIP’s ability to automate reports, calculate due dates, capture invention disclosures and issue awards, allow references to flow between related matters, import references and more. FoundationIP is scalable and future-focused. Large or small, FoundationIP can meet the needs of any law firm or corporation. Our no-hassle subscription approach means that FoundationIP can grow and mature with your business as-needed. With an unlimited number of users and document storage space, you can easily manage and predict costs. Alt Legal’s intuitive, easy-to-use cloud-based software makes it easy to prepare and manage intellectual property. Our software is trusted by Am Law 200 firms, IP boutiques, and in-house legal departments to handle thousands of filings every day. 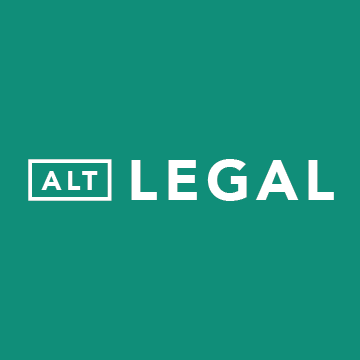 Alt Legal automatically updates case statuses and deadlines, seamlessly collects key client details, and instantly generates IP filings. 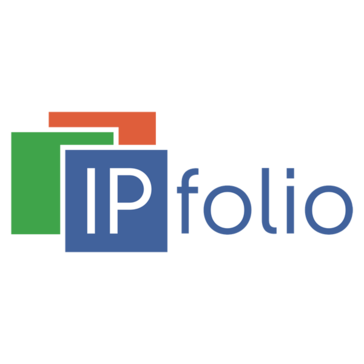 IPfolio provides next-generation, cloud-based IP Management software that helps with all aspects of creating and managing a corporate IP portfolio. IPfolio reduces administrative overhead, allows better visibility into the IP portfolio, facilitates collaboration and decision-making throughout global teams, and enables IP management at a strategic level by tying IP assets to products, markets, and revenue streams. ClaimMaster is a software tool for patent proofreading and analysis. Our software automates error-checking of patent documents, allowing you to create internally consistent and well-written patent applications. In addition, ClaimMaster streamlines numerous patent prosecution and litigation tasks. ClaimMaster is fully integrated with the latest versions of the Microsoft Word. Manage each stage of your innovation supply chain and intellectual property commercialization, from initial invention disclosure through licensing agreements and revenue distribution. Easily track the critical activities and action items of your technology transfer office to reduce compliance risk and maximize financial impact. Continually monitor on issues that affect portfolio performance and derive key business intelligence with powerful analytics tools and detailed reports. Capture critical information such as documents, e-mails, correspondence, notes, and more. Customize Inteum with unlimited User Defined Fields and a built-in Content Management System. We also offer an core product Inteum Core to suite the business requirement and budget of small and medium businesses. Patrix specializes in software solutions with Patricia®, an all-inclusive, platform agnostic, IP case management system that has helped professionals for over 20 years. While Patricia delivers all the bells and whistles you come to expect from an industry standard, it is our company's philosophy that sets us apart. We understand that implementing a new system is a big investment in time, money, internal resources, and knowledge. Our philosophy is to safeguard that investment for years to come by providing continuity to our clients in our product development, choice of technology, and upgrade path. Choosing Patrix as a partner means zero upgrade fees, full transparency on costs, and the latest technology at your fingertips. Meeting client expectations doesn’t give your firm an advantage—exceeding them does. Inprotech delivers your firm that advantage. This cutting-edge, web-based IP management platform handles even the most sophisticated administrative workflows to give attorneys more time to focus on high-value tasks—whether that’s strengthening client relationships or growing your practice. With Inprotech you can: • Improve efficiency and reduce costs by automating time-consuming tasks to increase accuracy of time recording, improve billable hours and speed production of invoices • Enhance customer service through rapid case filing and rapidly creating reports in real time • Improve collaboration with a shared database, enabling complete case access from anywhere, at any time, making it easier to locate, review and share information • Identify new business opportunities via client analysis, customer trends and marketing functions that support your firm’s growth • Reduce risk by dramatically cutting the need for manual data input, eliminating costly data entry errors • Sophisticated integration with the USPTO and EPO that streamlines and automates workflow. When data is downloaded from the IP Office database, it triggers an automatic update to Inprotech events so that each case can progress seamlessly through the firm’s predefined workflow. Documents downloaded from the IP Office are automatically moved into the DMS. Make practice perfect Inprotech is both modular and highly configurable. It can be used as a completely integrated solution or as a standalone IP management system. Anaqua helps corporations and law firms turn intellectual property into competitive advantage. Elevate your IP team with a modern intellectual property software solution that supports innovation, IP protection and delivers the insight needed to make decisions in today’s environment. ANAQUA integrates workflow, collaboration, docketing, data visualization, and worldwide patent analytics in a SaaS platform to provide new levels of productivity and insight for you to make smarter, more competitive business decisions. Anaqua builds and configures workflows, templates, and taxonomies that form the baseline of our solution. We augment our core software with market leading integrations to your existing solutions for time and billing, document management, matter management, and other mission critical systems. Our team of IP experts established a world-class implementation methodology to ensure you’re fully integrated and up and running quickly with accurate data. Our international clients require localized support, so we have offices and hosting centers in more than six countries worldwide with continued expansion plans. Anaqua is one of the few global vendors in the Intellectual Property Management space. WebTMS has been providing and developing IP management systems since 1997 and has regularly appeared at the top of independent user surveys of IP management software. We have more than 500 unique clients and 2,000 users globally, based on all continents using our flagship product: WebTMS. About the software WebTMS is a comprehensive yet intuitive IP management platform that supports the efficient handling of all IP matters. The automatic diary and workflow management tools ensure that all cases are monitored so that critical deadlines and internal reminders are sent to the correct person for actioning. Key features of the WebTMS IP management platform include: •	it’s a web-based platform, allowing access anywhere with an internet connection on any device capable of using an internet browser; •	a dashboard upon login, which shows upcoming deadlines and current cases; •	automatic trademark data import and auditing for more than 160 countries; •	automatic calculation and delivery of key dates; •	unlimited and user-friendly reporting options in PDF, MS Excel and HTML formats, and visual map reports highlighting the protection or non-protection of trademarks; •	easy-to-use report template builders; •	swift record creation; •	client access; •	agent access; •	email template merging; •	MS Word merging; and •	document uploads. And many more...... About our team The WebTMS team is renowned within the industry for its excellent customer support, expertly managed migration and conversion projects and industry knowledge. The team has undertaken a large number of migration projects – from simple MS Excel conversions to large projects with a number of different data sources that all need to be unified and migrated into WebTMS. The company listens to clients’ feedback about the software to continually develop and progress it to meet clients’ expectations and needs against the ever-advancing technological landscape. About our clients WebTMS is suitable for and used by: •	IP departments in law firms (including a number of the largest international law firms); •	IP boutique firms; •	in-house legal teams (including many companies from the top 100 most valuable brands); and •	solo practitioners. Our clients manage a range of portfolios from under 100 records to more than 300,000 records. We have a pricing structure to suit all portfolio sizes and needs, including: •	quarterly subscription rates – using software as a service puts no burden on IT infrastructures and is the most popular choice among clients as it includes the system, all the hosting, tech support, routine webinar sessions, legislative updates and future upgrades to the WebTMS software; and •	an installed version of the product, so clients can purchase the software via a perpetual licence to install on their own servers. This allows clients to manage the hosting of the software locally . In 2015 WebTMS was voted number one in its field in a survey by the World Trademark Review. As well as receiving a top rating, we also outperformed all other software in all categories which included performance and reliability, flexibility and customisability, service and support and the likelihood of existing users recommending our software to others. In 2019 we were highly recommended by the World Trademark Review, which is the highest rank given. We are pleased that our clients are still clearly fond of the product and support they receive. First to File is the only IP document management system tailored to IP documentation and correspondence. Combined with powerful workflows that can revolutionise your operations it is the perfect choice to increase efficiency and minimise paper storage. First To File transforms the work of IP professionals by automating the storage and management of IP documents worldwide. That means access to more than just files, but also the knowledge you’ve built around them. First To File focuses on meeting the challenges of IP departments and law firms. With more than 2,000 users globally, First To File saves hundreds of thousands of dollars in unproductive time, storage/courier fees and workflow inefficiencies. First To File helps you: Accelerate productivity and collaboration using the workflow module on document development, by flowing cases through contributors and reviewers with actions and due dates. Save storage and courier costs associated with traditional IP case documents through centralised electronic document storage that enables 24/7 access to any user, at any time Consistently manage IP documents by synchronising case numbers, case data and case documents with existing IP docketing systems Easily upload documents, correspondence and background information to cases from email systems, desktops, scanners and the USPTO Track status of case development to ensure documents are developed to deadlines and resources are optimised Why go paperless? Corporations and firms expect their partners to communicate and collaborate digitally The global economy is forcing organisations to do more with less Sustainability has become a corporate mandate Users have become increasingly comfortable with digital documents It allows you to save time, save money and improve quality of work First To File enhances effective collaboration. As a SaaS-based technology, it enables global companies to share a single database and access documents from any location. And, with extensive user management tools, First To File extends access to external parties—whether that’s outside counsel, clients of law firms, investors or foreign agents. First To File is designed to integrate with your docketing system to accurately populate case data—all docketing systems are supported First To File is tightly integrated with Microsoft Office®, Lotus Notes®, Gmail® and Adobe® applications First to File provides the Tri-Fold™ view making it easy to view and access information. First To File maintains SSAE16 (SOC1) and ISO27000 security audit compliance ratings First To File was built by people who understand the file-heavy work of IP management. It organises IP documents, history and correspondence into central online cases, using tri-fold and bi-fold formats familiar to IP professionals. Adoption is intuitive, relieving the administrative burden almost immediately. Juristat focuses on four things: (1) helping patent prosecutors anticipate examiner behavior with Patent Examiner Reports; (2) helping law firms win new business with comparative performance metrics; (3) assisting in-house teams with evaluation of potential outside counsel; and (4) influencing USPTO classification with Juristat Drafting - a tool that predicts an application’s tech center/class and highlights the specific words causing that prediction. All of these tools are easily accessible through our online app. Trusted by the world’s most innovative companies, Lecorpio Intellectual Property Management provides a secure, web-based portal for centrally managing the entire IP lifecycle - from the submission of disclosures all the way through to the payment of annuities, and ongoing opposition filings, enforcement actions, arbitration, litigation, contracts, license agreements and more. And with robust reporting and analytics, IP departments are able to make data-driven decisions about what, where and when to file with a thorough understanding of the financial implications of those decisions, the potential risks, and opportunities for maximizing value. Available as stand-alone modules or as a fully-integrated suite, Lecorpio Intellectual Property Management includes: Lecorpio Invention Disclosure Management Speed innovation and simplify processes with this easy-to-use, web-based portal utilized by inventors to collaborate during idea development and to submit new invention disclosures. Configurable workflows facilitate patent committee approval processes and decisions are tracked for future reference. Lecorpio Patent Management Centrally manage all patent case history, including categorization and classification of filings, and all correspondence and associated documentation. Lecorpio Patent Management supports country-specific prosecution workflows, docketing management and USPTO integration. And with robust reporting and analytics, companies can quickly access the information that they need to make informed decisions. Lecorpio Trademark Management Provides discipline and structure to the trademark lifecycle by leveraging a centralized repository for all trademark information and activity, all supported by highly-configurable workflows. Lecorpio Annuity Management Leverage powerful reporting and analytics to make informed pruning decisions so that patent and family value, trademark value, history, and renewal fees can be considered before each patent or trademark is renewed or let go. Lecorpio General Matter Management Track all matter types including opposition filings, enforcement actions, arbitration, litigation, contracts, license agreements and more. With a flexible, easy-to-use interface and robust reporting easily create and manage new matters while benefiting from both standard and custom reporting capabilities. Lecorpio Spend Management Manage all IP-related financial data including invoices, budgets and forecasts associated with all outside vendors including counsel, agents, annuities, and vendors, from a single system. Memotech - The IP Management Powerhouse AN IDEAL IPMS FOR FAST-PACED, MULTINATIONAL ORGANISATIONS CPA Global’s leading IP management system for fast-moving, global organisations, Memotech is designed to securely manage and support exceptional operational efficiency and strategic decision-making across the entire IP lifecycle. At its core, Memotech provides your IP department with a central repository for your entire IP portfolio while also allowing stress-free collaboration amongst all key stakeholders. Memotech offers a broad functionality to manage all aspects of the IP lifecycle - from idea submission to commercial management. Covering all types of intellectual assets, including patents, trademarks, designs, domains and commercial contracts, Memotech securely manages complex intellectual property processes for a wide spectrum of stakeholders, across the activities of idea collection, IP development, PTO prosecution, commercial licensing, and IP renewals. phpIP is a web tool developed by Omnipat for managing an IP rights portfolio, especially patents. It is intended to satisfy most needs of an IP law firm. The tool was designed to be flexible and simple to use. It is based on an Apache-MySQL-PHP framework. RevaTrademark is a simple but powerful docketing program that lets you:Track trademarks, patents, oppositions, clients and contacts. View upcoming critical dates, generate alert emails, or send them to your Outlook calendar. Symphony is the most cutting-edge, cloud-based IP management and patent prosecution platform available on the market. Since its launch in 2016, symphony has revolutionized IP management through its innovative use of Salesforce.com’s Lightning platform, delivering the industry’s most advanced workflow and automation capabilities with access to global patent data - all in a highly configurable, intuitive system, designed for the modern IP professional. From invention capture to docketing to annuity management, symphony brings all facets of IP management onto one stage. Trademark docketing and Intellectual Property management solution that includes automatic USPTO status updates, free trademark data intake and audits for over 50 online jurisdictions, free online trademark searching in over 100 jurisdictions, linked document storage and management, with modules for Disputes, Domain Names, Copyrights, Searches, Assignments, eCommerce, Patents and Designs, and Company Management. Special handling for US, Canadian, EU and Madrid Protocol cases. AalbunIP is an IPR management system for for docketing deadlines, automatic reminder and client status client status tracking, it has the option to purchace value added docketing and other IPR related services in the system. Chorus is a powerful web-based brand enforcement management tool designed to help global teams leverage data in order to make more strategic anti-counterfeiting decisions Chorus was developed by Rouse, a leading global IP consultancy with over 25 years of anti-counterfeiting experience, to meet a need for their clients which was not being met by other software products on the market. ClearAccessIP transforms IP portfolios from cost centers into profit centers. It eliminates many of the costs associated with building patent portfolios by automating patent prosecution and workflow. ClearViewIP is a leading global Intellectual Property consulting and brokerage firm. Based in Europe, our focus is to help our clients make their innovation more tangible by helping them to implement effective IP processes, build and strengthen their IP portfolios, and better assess, value, and monetize their intellectual property. Our IP strategy, management, and transactional services have helped businesses commercialize their innovations in a range of market and technology sectors. By helping companies better understand their competitive position, we aid our clients in building value, managing risk, and unlocking additional income streams within their existing business. Company Portfolios Revealed utilizes publicly available worldwide patent application and status data, and through newly developed proprietary processes, organizes it in new ways. This process allows any company's patent portfolio to be analyzed, and reports produced about not just your own company's patent portfolio, but even that of any competitor. DIAMS is developed in-house by our IT specialists and software developers in close collaboration with our IP experts and enables the patent and trademark management, docketing and more. FADEL ARC connects assets and rights across multiple systems, giving business users a single point of visibility into what is available for use. FADEL Intellectual Property Management Suite empowers IP Commerce end-to-end. Built on a robust and adaptable architecture, FADELs IP Management software enables businesses to verify, capture and manage rights and royalties for their IP assets. File helps automate the international IP filing process and delivers up to 6x efficiency gains. It is the first cloud-based application in the industry that enables world-wide filing collaboration with a single technology environment while still allowing the customer to utilize their existing, trusted network. The File App, delivered through The IP Platform, offers significant time-savings for law firms and corporations when it comes to managing their international patent filings. File provides real-time status updates and detailed progress tracking for each filing, reducing overall submission time. Through automated workflows and standardised processes, File reduces the complexity of international patent filings, removing the uncertainty and time commitment previously required to file foreign IP applications. By allowing IP professionals to continue using their most trusted agent network, current processes and relationships are not disrupted. Instead, they are optimized. Enhanced, efficient communication is the key to reducing the time-intensive tasks associated with international filings. File’s in-app instant messaging and secure, auditable correspondence and instructions dramatically improves the way customers and foreign agents communicate across the globe. The File App represents one of the comprehensive and scalable tools delivered through The IP Platform. While each tool provides exception individual benefits, the greatest value exists in the integration between them. This integrated approach provides IP professionals a new level of insight and collaboration, making it possible to address any IP challenges or answer any IP business questions. IamIP's Intellectual Property platform provides a secure, web-based portal for centrally managing all published patents worldwide from the published individual patents to setting up search alerts, sharing, commenting, watching legal status, collaborating and more. IDEAS improves the management of Intellectual Property throughout its life cycle, in a flexible way and adapting to every organization’s needs, from the time an idea is conceived until it becomes a commercial offer. IDEAS manages all PI types (Patents, Technological Offer, Copyright, Agreements, Registered Marks, EBTs, Projects, Know-how, etc.) providing detailed information, status, dates and key milestones, legal information and documentation and the whole patent’s genealogy tree. IDEAS integrates the functions of a CRM tool and financial management, facilitating the management and follow-up of contacts, businesses, expressions of interest and actions done with them. It can be integrated into the employees’ corporate database and into financial information. INNOVATOR Enterprise System will manage and supercharge your intellectual property management process with an easy-to-use software solution and tool that facilitates faster throughput and accountability for your inventors, patent review team, and legal staff. Innovator Express is a comprehensive idea management, stage and gate product development and invention management solution. Patent search and monitoring solution that offers user rights management and active folders for legal status monitoring. iIolite Intellectual Property Management Software is a software that transforms the office of the IP attorneys, owners, advocates & solicitors paperless it manage complete work flow for intellectual assets manager's to eliminate errors and never miss important deadlines, track current & pending status of cases including hearing dates, due submissions and client correspondence. Ipendo is an IP management platform that enable organisations of large or small to seamlessly collaborate and work in partnership with their internal and external stakeholders. IP costs are complex and constantly changing. To identify the true value of your IP requires efficiency and accuracy. IP Forecaster is an advanced, secure and easy-to-use online tool that streamlines your entire budgeting process for every patent, trademark and design Using live market rates and powerful scenario modelling, IP Forecaster delivers fast, accurate and automated budgets. IP Forecaster helps: • Accurately and quickly predict costs throughout the IP lifecycle and across all jurisdictions • Improve decision making with accurate and fast responses, including point-in-time forecasting • Intelligently control IP expenditures and drive strategic decisions, through what-is analysis and modelling • Save time collecting and validating PTO charges and average global rates through direct access to live market rates • Negotiate better rates through transparency on average market rates, costs and PTO fees • Integrate quickly and easily with your IPMS by way of an XML, XLS or CSV data file exchange, including all CPA Global IPMS. Real value from real-time data IP Forecaster delivers fast, accurate and automated budgets, using live market rates, covering agent fees, PTO fees and costs. Here’s how it works: 1. A worldwide network of attorneys monitor and collect IP costs for IP Forecaster, covering international filing, prosecution and maintenance activities. 2. IP Forecaster captures agreed rates and structures from your IP law firm(s). 3. Using multiple formulae based on patent complexity, IP Forecaster accurately estimates costs that can be seen against your fiscal cycle. 4. IP Forecaster can also use non-sensitive case data and statuses from your IP management system for faster forecasting. IP Forecaster makes the budgeting process swift and repeatable by processing key data resources through a range of output options. Data is updated continually and includes: Real-time Laws and Rules Prosecution Processes, Worldwide Laws, Average Pendency Times, Patent Complexities, Technologies Official Fees Official PTO Application, Prosecution, Grant, Translation, Validations and Maintenance Fees Worldwide Agent Fees Worldwide Agent Costs for Filing, Prosecution, Grant, Translation, Validations and Maintenance Fees Agreed Fees Your Negotiated Law Firm Rates Live Patent Data Patent Family and Characteristics Used by more than 80 corporations and law firms worldwide, IP Forecaster has been reported to achieve an average accuracy variance of between 3% and 10% of estimated and actual costs—bringing best-in-class accuracy to the budgeting process. iPM CRM is a highly customized platform for everyone who want to become a part of real estate revolution. IP ONE is a software suite of IP asset lifecycle management tools for collaboration, IP portfolio control, and document management. Hi there! Can I help you find the best Intellectual Property Management solutions?